The turnout was great once again with not a free seat in the house! After some announcements, we had a very efficient and varied show-and-tell. It is always great to see finish projects, especially when you get to see it during the process. 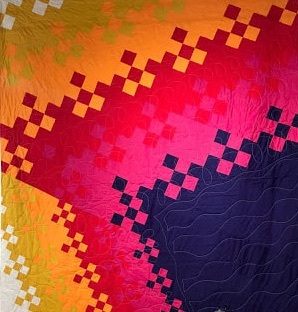 Let's see some more works-in-progress next time along with all the finished quilts on their victory run. Another successful March ME retreat in the bag with 30 people attending, a charity project created and lots of swag generously shared. "Not about the stuff, but really, a great community of spirit." 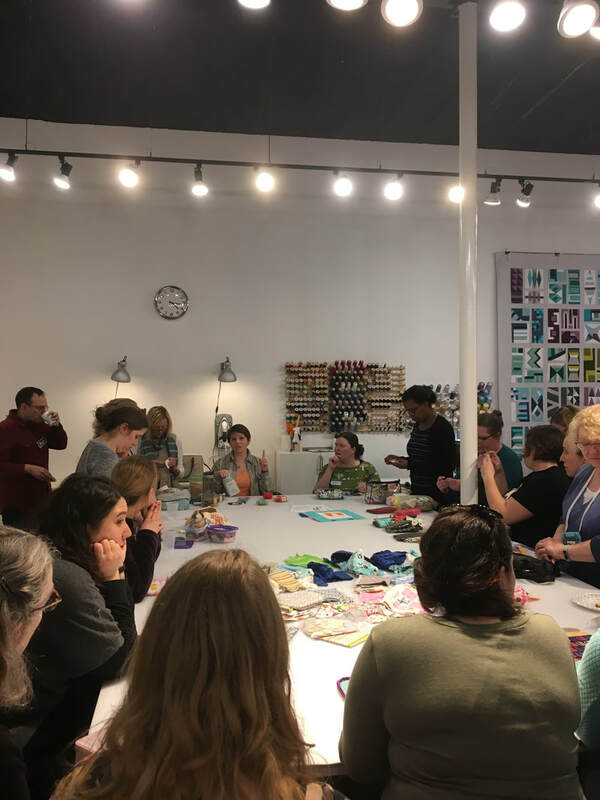 Don't forget about April's two Sip and Stitches at Gather Here. Congrats to Rachel for winning that stack of spring inspiring lottery blocks. Hope you will share what comes of them! ​Check out the next lottery block under Projects and Challenge- they are sure to speak volumes! 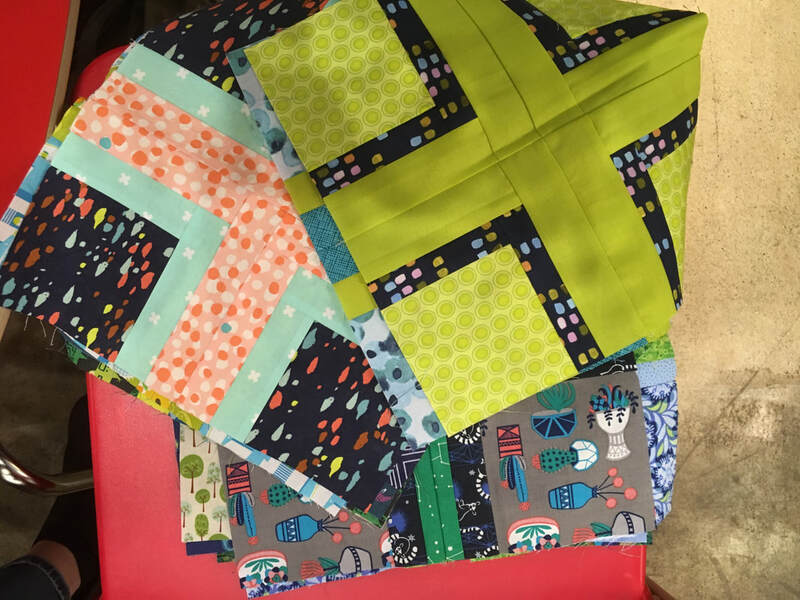 Also we have keep pushing forward on the Kids Sewing Camp scholarship quilt finish it for raffle ticket sales at the May 19 Inman Sq craft fair. They should come together super easily and look bold and beautiful! Look for that under Giving Back. 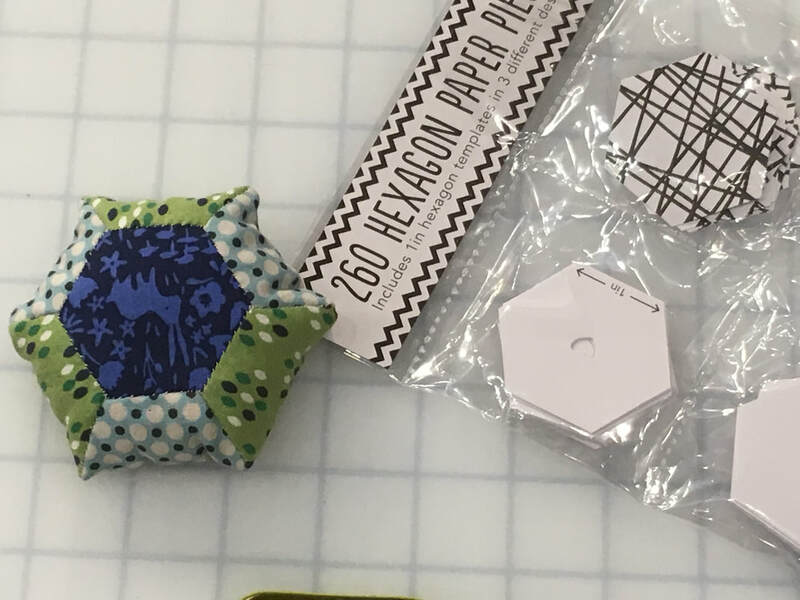 ​And a big thank you to Regina for sharing her hex magic. 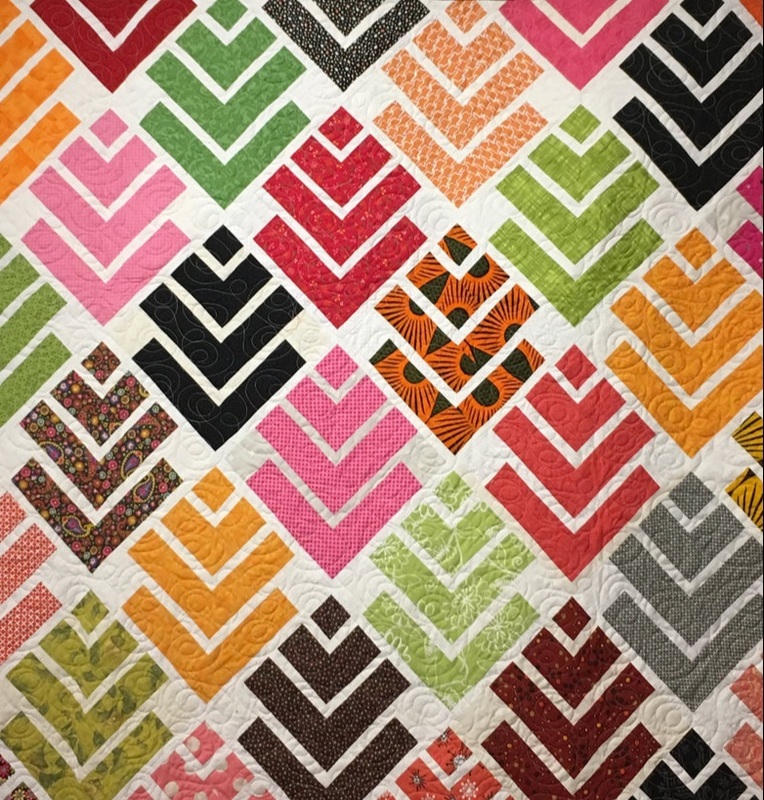 At one point, there was so much engagement in stitching, you could have heard a pin drop-no pun intended!